Create an account then Copy & Paste our script into your site. 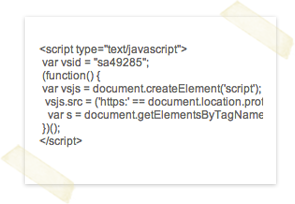 It's a simple as adding a banner or analytics to your HTML code. If you have a Wix site. 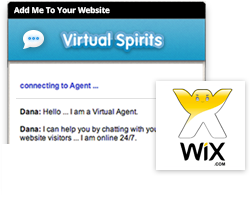 It is simple to add our Automated Chat Agent to you Wix site. Our application can be found in Wix App store. Simply enter your Wix site in editor mode, select Wix App store, find our App, and Add it to your site!